Web Development is a lightweight, fast, clean and super flexible bootstrap based responsive theme. With this theme you can create your own website for your business. 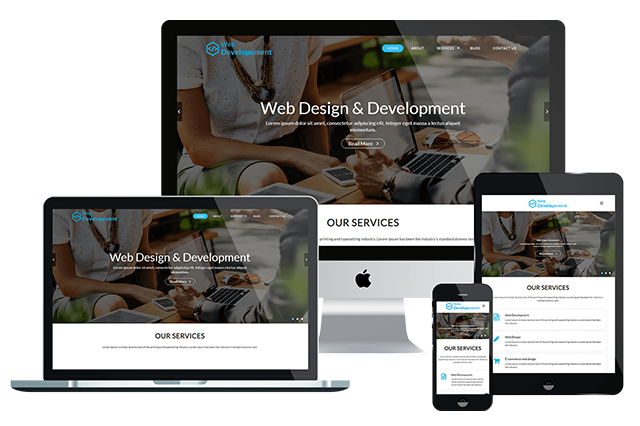 Web Development WordPress Theme is 100% Mobile Responsive.. So Your Website Will Look Impressive In All the Mobile Screens, iPads, Macs etc. Web Development theme provides modern design and look stunning and impressive. Our theme make your website 100% mobile friendly. So your website looks perfect in mobiles, iPad, PCs, Mac and all other devices.